When today’s educators talk about diversity, the conversation embraces so much more than ethnicity. Buffalo State, as part of the Year of the Teacher, is proud to cosponsor a free conference that will address cultural differences in the Buffalo Public Schools and Western New York. It is open to educators, parents, and the community. Registration is free but space is limited. 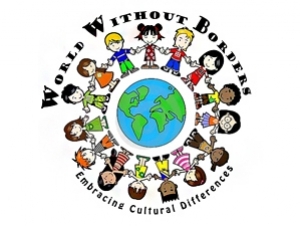 World without Borders: Embracing Cultural Differences was organized by the Ecumenical Community Outreach Committee. Daniel Velez, associate vice president for student success, is a member. "We hope that teachers and those who are interested in the education of children will attend," he said. "They can expect to learn new skills in managing, understanding, and appreciating diversity in the classroom." Dr. Steve L. Robbins, a native of Vietnam and author of What If? Short Stories to Spark Diversity Dialogue, will give the keynote address. Robbins, nationally known as an expert on diversity, coined the term "unintentional intolerance" to explain how "nice, well-meaning people sometimes unconsciously do things that exclude others." Guests can choose two of four workshops. "Connecting Cultural Dots for Improved Learning" will explore the interplay between culture and individual learning style, and the implications for improving education in the diverse Buffalo Public Schools. "Taste of Diversity: the Changing Face of Buffalo Youth" will discuss the demographics of the students attending Buffalo Public Schools. A panel discussion will address the issues faced by refugee children. Panelists include Molly Short, executive director of Journey’s End Refugee Services, and representatives of several refugee communities including the Somali Bantu community and the Nepali community. "Through the Golden Door: Understanding and Celebrating Religious Diversity" will be presented by a panel of religious leaders representing Hindu, Muslim, Christian, Jewish, and Native American beliefs and traditions. "Civil Engagement: Civility is the Name, Compromise Is the Game" will examine the relationship between members of different political parties and different cultural backgrounds, focusing on the importance of civility among elected officials in order to reach compromise. "This is one way that Buffalo State supports the community initiative to address diversity in Western New York," said Velez. The conference will be held at BlueCross BlueShield of Western New York, 257 West Genesee Street, Buffalo. Lunch is provided. Registration closes March 14.